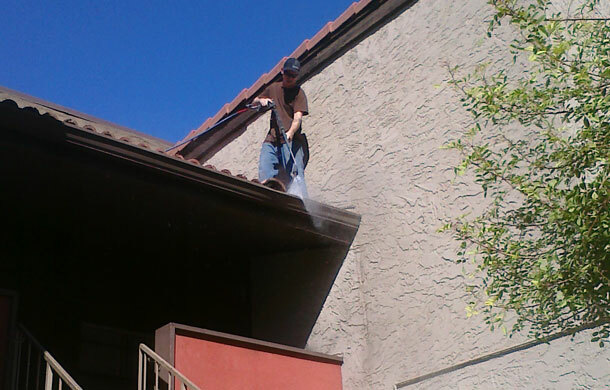 Gutter cleaning is essential on an annual or semiannual basis in Flagstaff, Arizona. Commercial facilities such as: apartment buildings, condos, and town houses with gutters need to be cleaned regularly to ensure the gutters are flowing and draining properly. 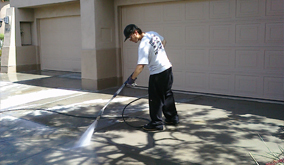 AZ Power Wash Pros is Flagstaff, Arizona's first choice for commercial gutter cleaning services. We have a multi-step gutter cleaning process that includes cleaning the insides and outsides of gutters as well as the downspouts. We make sure your gutters are flowing properly for monsoon season in Flagstaff. Our first step is hand picking all the large debris from the insides of the gutters. Next we spray out the insides of the gutters with low pressure to remove all the dirt and debris that may be blocking the flow of water. After spraying the insides of the gutters with water we then shoot a detergent down through the gutters to make sure we remove all debris. 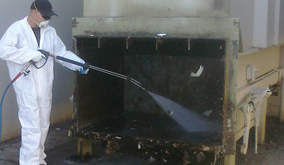 Lastly, we spray the outsides of the gutters gently to remove any unsightly debris from the outsides of the gutters. Call today for a free gutter cleaning quote! 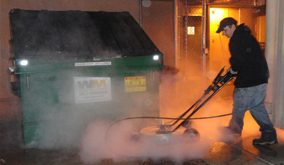 Call AZ Power Wash Pros for commercial gutter cleaning services in Flagstaff, Arizona.